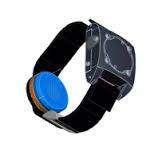 The National Institutes of Health (NIH) will announce its selected wearable alcohol biosensor solutions mid-February. Designs of wearable alcohol biosensors will have the ability to monitor blood alcohol levels in real time and will be low profile and inconspicuous, and will appeal to wearers. While there is no hint yet as to exactly what these wearable devices will look like, it is likely that they will be in the form of jewelry or some form of clothing. They are also likely to be totally non-invasive. The NIH’s National Institute on Alcohol Abuse and Alcoholism (NIAAA) issued its Wearable Alcohol Biosensor Challenge in March last year (2015) in an endeavour to get public and private sectors to invest in the development of devices that will be useful to individuals, treatment providers and researchers. The competition, which closed on December 1, offers two cash prizes of $200,000 and $100,000 that are expected to be awarded on February 15. Judging takes place this month (January) by a panel comprising program staff members of the NIAAA; members of the National Advisory Council on Alcohol Abuse and Alcoholism; a senior staff member of the NIH National Institute of Biomedical Imaging and Bioengineering; and Dr George Koob, director of the NIAAA. The two winning prototypes are expected to provide an improvement on existing alcohol biosensor technology, and according to challenge requirements must be able to not only measure blood alcohol levels, but also interpret and store the data captured by the device, or transit this data to a smartphone or other device by wireless transmission. 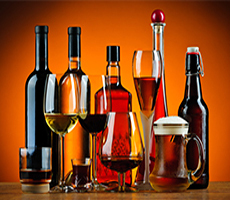 The advent of alcohol biosensors that can be worn discreetly and used by individuals in the course of their daily lives will advance the mission of NIAAA in the arenas of research, treatment and rehabilitation. According to the NIAAA, current technological developments in electronics, wireless technology, miniaturisation, and high tech biophysical techniques of alcohol detection in humans increases the likelihood of a useful alcohol biosensor being successfully developed in the near future. The WrisTAS was developed for use in medical settings with compliant subjects. Motivation for developing wearable alcohol biosensors is driven largely by the fact that a number of medical conditions, including liver disease and HIV/AIDS, are exacerbated by alcohol. As the NIH points out, for researchers to be able to understand how these diseases progress, and be able to identify potential treatments, it is vital to be able to measure alcohol use accurately. Wearable alcohol biosensors, they believe, will simply the process for scientists as well as therapists and study participants. While current alcohol biosensor technologies used in the US criminal justice system have reportedly “performed adequately” for the real-time monitoring of alcohol consumption, the NIH states that they have disadvantages for broader use. Existing biosensor bracelets and anklets used in the criminal justice system are said to be cumbersome. another drawback is that they take readings at 30-minute intervals, rather than constantly. The NIAAA wants a solution that will monitor alcohol more frequently, so that real time monitoring and data collection is more accurate. However, the Institute has emphasised that data storage and transmission of this data must be completely secure so that the privacy of those wearing the device is protected. Challenge details state that the device, which can be removable, should be able to verify standardisation at regular intervals and should indicate loss of functionality. Power sources must be dependable and rechargeable. Ideally subject identification will be possible. Well-calibrated alcohol biosensors will provide an objective measure, while participants will be able to avoid the inconvenience and discomfort of having blood drawn at regular intervals. The NIH also believes that data collected via wearable alcohol biosensors would be more accurate than self-reports. Furthermore, because they will be “discreet,” individuals who are concerned about their personal drinking and alcohol consumption patterns will be able to wear these devices without stigma.